Vyoda is an agri tech start-up with a vision to deliver affordable Smart Irrigation solutions through product innovation and to promote sustainable agricultural practices for a better tomorrow. Vyoda has established a R&D facility in Tel Aviv to leverage Israel’s strong product development capabilities and expertise in agriculture. To ensure that the products are affordable to small and medium farmers, Vyoda has set up a state of the art manufacturing facility in Mysuru, India. Vyoda is a part of NR Group, Mysuru. In most developing countries, there is a severe shortage of electricity and a lack of grid connectivity in rural areas owing to which the farmer is unable to irrigate his lands. Even where the farmers have access to grid power, the availability of electricity is limited to few hours in a day. Therefore, the farmers are unable to use micro irrigation system that requires a steady flow water, forcing farmers to adopt flood irrigation causing wastage of scarce resources. This has led to a significant underutilization of farm land and decreased agriculture productivity. Until recently the only option for the farmer was diesel generators that were both expensive to operate and harmful to environment. The rapid decline in cost of photovoltaic cells has created an affordable alternative source of electricity for irrigation. 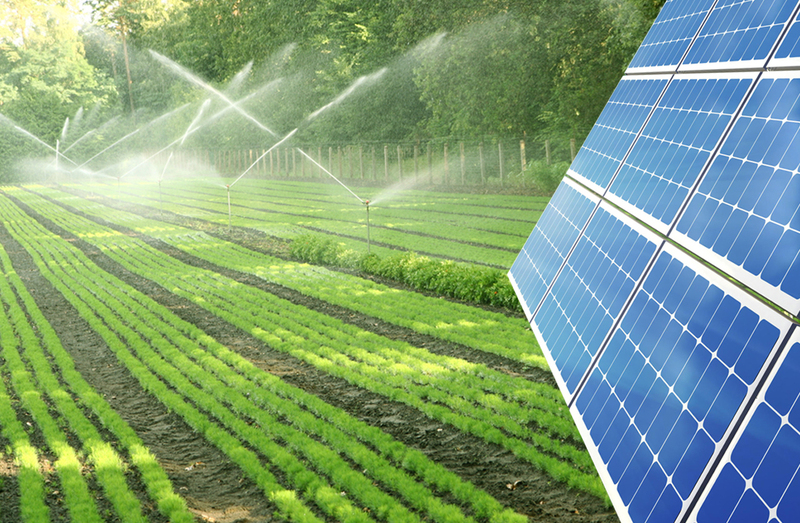 The solar water pumps can significantly increase crop yields, utilization of farmland and reduce carbon footprint.